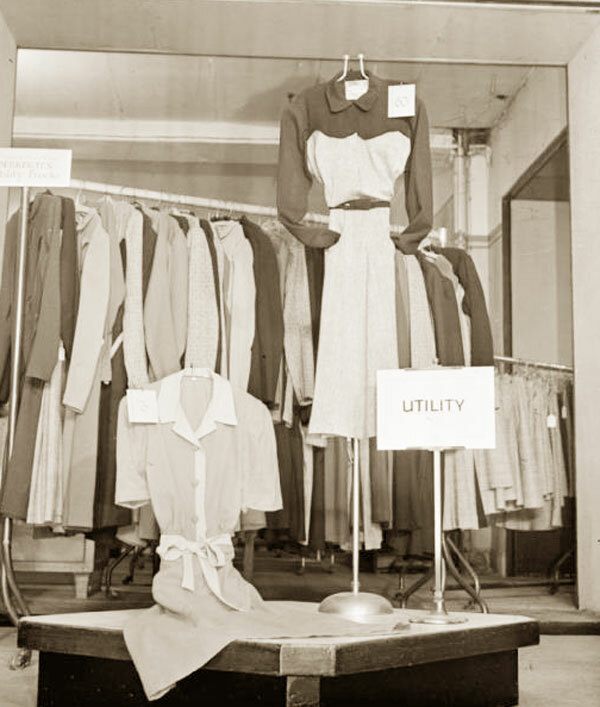 The Impact of War on 1940’s Fashion in the USA. Click World War Two Influence on 1940s Fashion to read the full article from the beginning or to download the free ebook. A whole new aspect that was very important during World War II for the United States was rationing. During the spring of 1942 was when “the government introduced rationing and price controls.” (Walford), which was within months of the United States’ entry into the conflict.Nearly everything had to be rationed which is the reason why “everyone had their own rations book” (Nelson,), according to a woman who lived in the United States during the war. 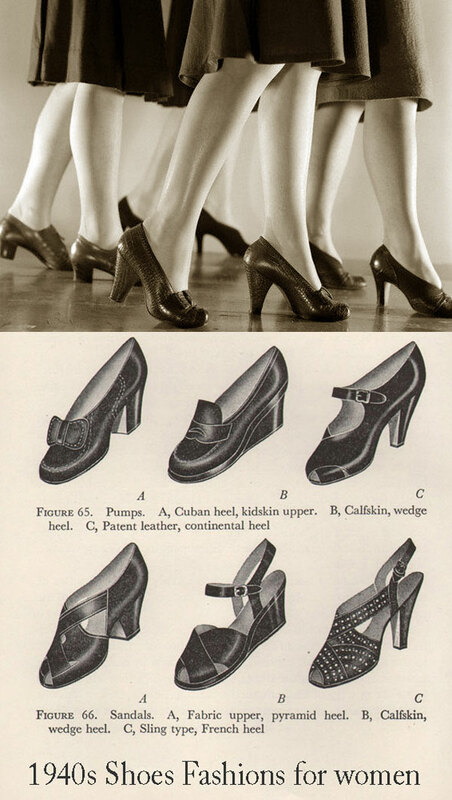 However, “leather footwear was the only article of clothing rationed” (Walford) and only “two pairs per person per year.” (Lindop) were given out. Therefore, this meant that styles were very limited and the only important issue to worry about was how to keep the shoes to last until the next ration. In the short term, it was difficult as it meant that everyone had to sacrifice, but in the long run it was beneficial as the government tried to “control supply and demand [and also] prevent shortages.” (Sexton) in the country.According to Time magazine, “The U.S. public has not yet learned that the best way to avoid rationing is to avoid overbuying in the first place.” (Walford). This was written in the beginning of the rationing period when the Americans were trying to adjust to this new system. For the most part, rationing was having a positive effect on the country except that it had begun the illicit trade of the Black Market. This counterpart to the rationing system was the same as it is today; an illegal market selling overpriced valuable goods. In this case, these markets flourished as rationed items were of course hard to come by. As a result, “rationing and price controls enforced in many countries during World War II encouraged widespread black market activity.” (“Black Market”).